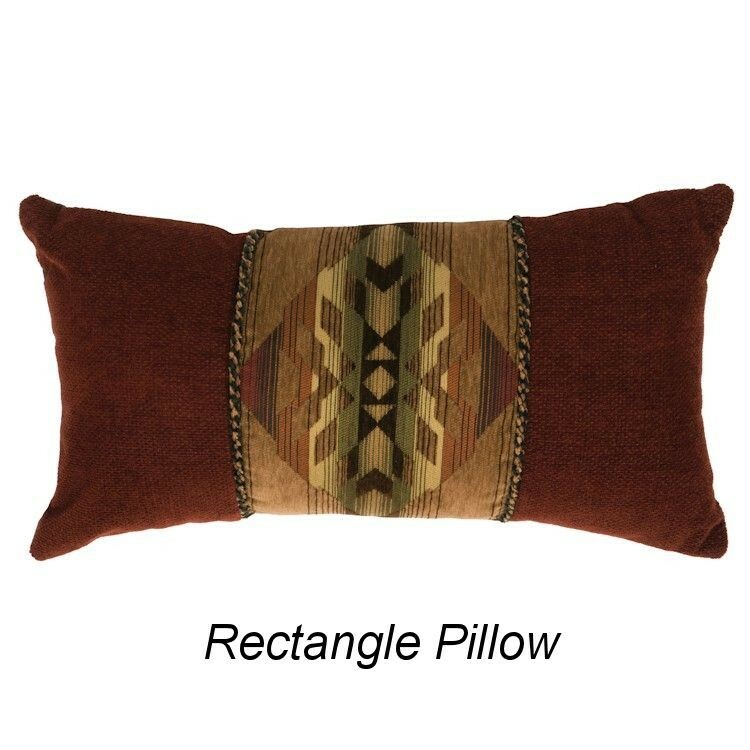 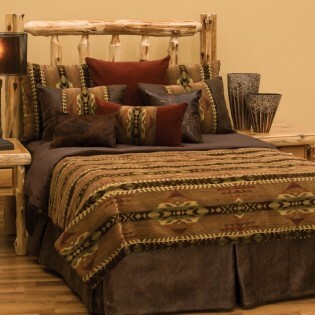 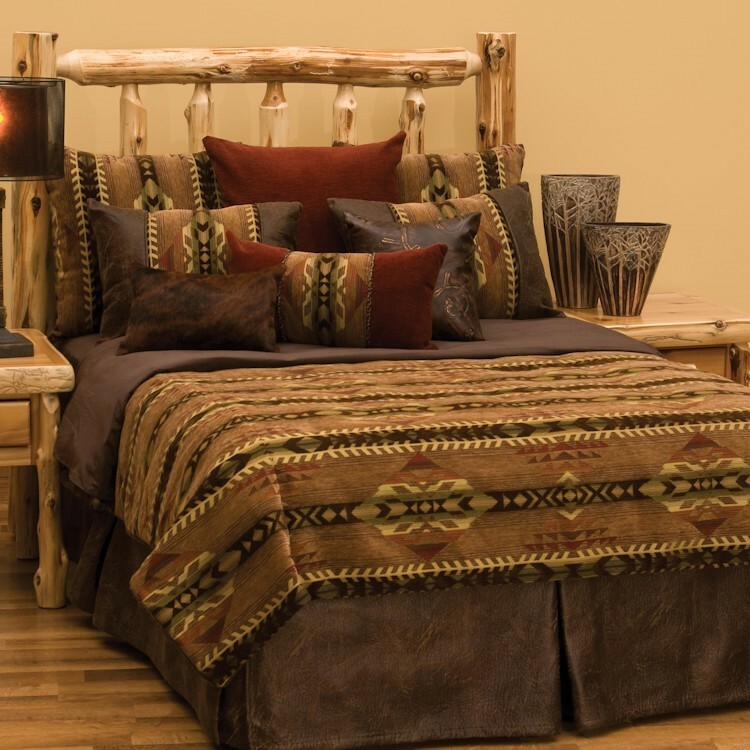 The Stampede Duvet Sets feature duvet covers in earth tone shades of brown, brick, terra cotta and gold along with touches of pumpkin, green and black that are woven into a striking Native American inspired geometric design. 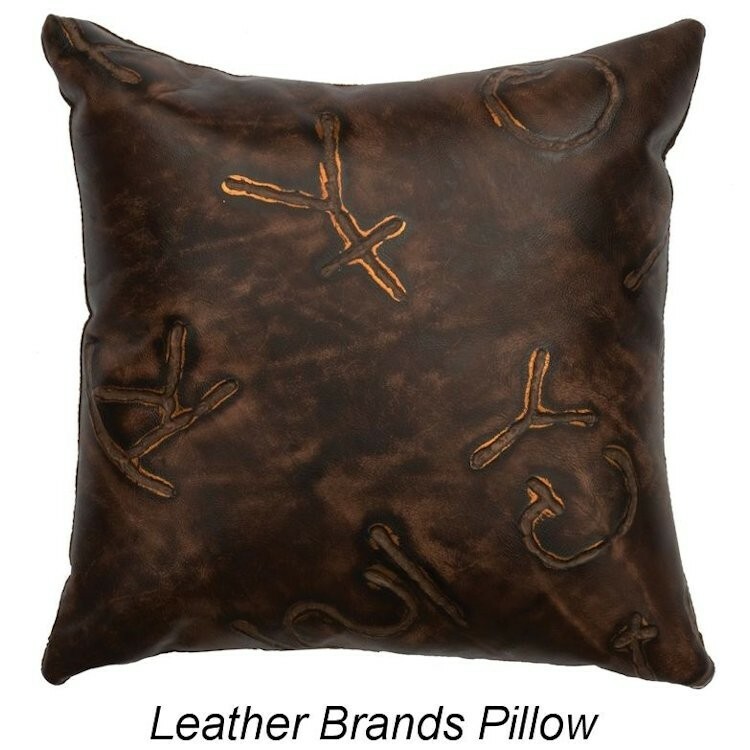 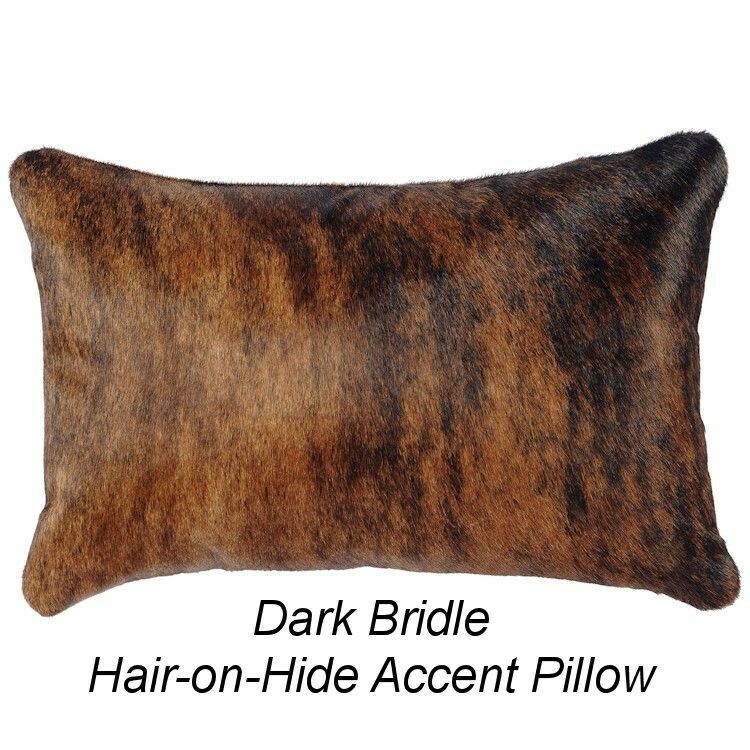 The pillow shams are created from the same fabric as the coverlet with distressed faux leather that is repeated on the tailored bedskirt. 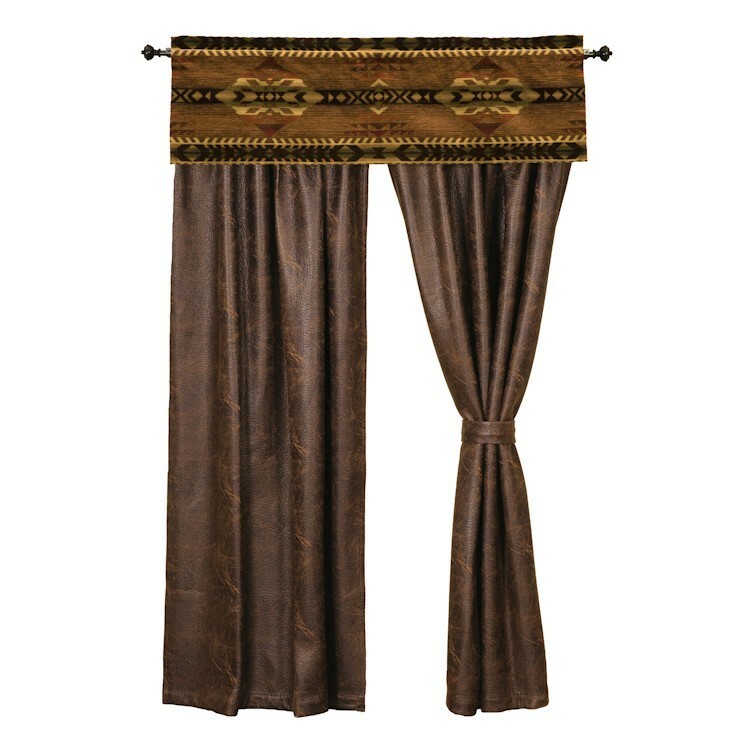 The deluxe sets offer the added luxury of three euro shams (two that match the duvet cover and the third is a simple brick red texture.